"A technical daypack for backcountry blitzes. 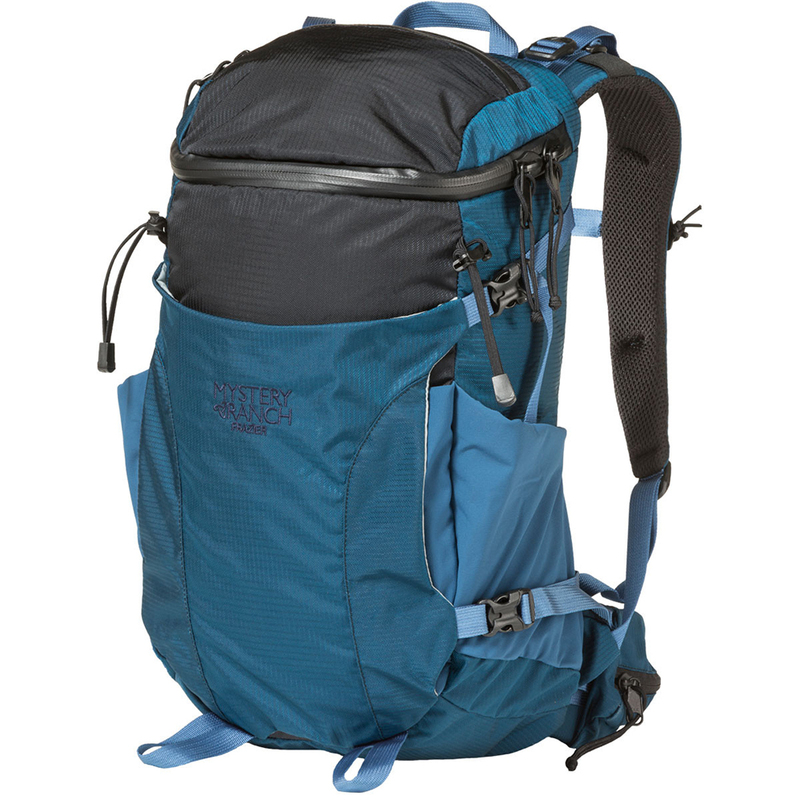 At 19 liters, the FRAZIER features a front “stick-it” pocket with stretch woven gussets and compression straps to store all kinds of gear on the exterior of the pack. The main lid compartment has a zippered pocket and offers full access to the bag. You’ll find exterior tool docking points – ice axe, trekking poles, etc. – as well as hydration compatibility. Side water bottle pockets as well as zippered compartments on the waist belt for smaller items.